Waterloo, Iowa – The Waterloo Bucks have announced they will be holding open interviews for summer game-day positions on Friday, April 26 from … "Full Story"
Waterloo, Iowa – The Waterloo Bucks have announced they will host eight high school baseball tournaments at Cost Cutters Field at Riverfront Stadium … "Full Story"
Waterloo, Iowa – The Waterloo Bucks are seeking nominations for their inaugural All-Star Manufacturer Team. The Bucks will be honoring 10 individuals who … "Full Story"
Waterloo, Iowa – The Waterloo Bucks are seeking nominations for their All-Star First Responder Team. The Bucks will be honoring 10 First Responders … "Full Story"
Waterloo, Iowa – The Waterloo Bucks have announced that Thomas Breach will return as the team’s play-by-play broadcaster. Breach will join the ballclub … "Full Story"
Waterloo, Iowa – The Waterloo Bucks are seeking nominations for their inaugural All-Star Nurse Team. The Bucks will be honoring 10 nurses before … "Full Story"
Waterloo, Iowa – The Waterloo Bucks are seeking nominations for their second annual All-Star Educator team. The Bucks will be honoring 10 educators … "Full Story"
Waterloo, Iowa – The Waterloo Bucks have teamed up with the Northwoods League Foundation to provide $2,500 of value in softball equipment to … "Full Story"
Waterloo, Iowa – The Waterloo Bucks are now taking applications for host families for the 2019 season. 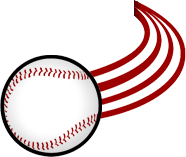 Each summer, the Bucks bring over … "Full Story"
Waterloo, IA – The Waterloo Bucks have announced available internship opportunities with the organization for the 2019 baseball season. The person or persons … "Full Story"